Do I need a Turbo Boost Gauge? What to do to keep your car looking and running like new, inside and out. Re: Do I need a Turbo Boost Gauge? Right...first line is my opinion. Second line is factual. Third line is again my opinion, backed up by facts. The real question isn't whether or not you need a boost gauge or not....it's more like do you really want a boost gauge. BTW, I'm not a fan of digital read-out boost gauges. Nothing beats a sweeping needle. And ignore the "do not exceed 1 bar" people. That's crazy talk. I've had quite a few cars that ran 20 lbs of boost or even a bit higher. 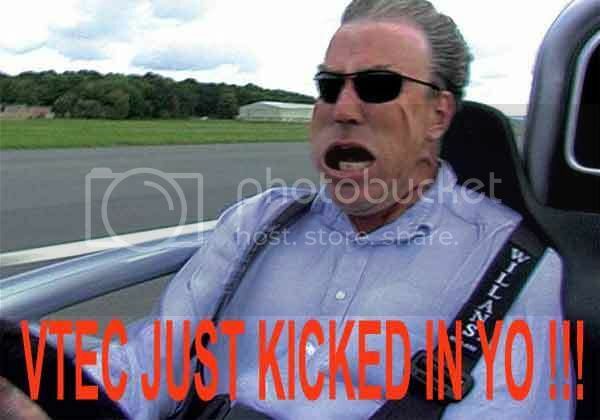 Hell, your Audi can do that too with nothing but a tune and your tiny K03 turbo. Umm.... No? 15psi was BASE boost in my old car. Boost should never exceed the limits of the system, be that a 4psi low-pressure application or 40psi or more on a tuned engine. Stock Sonic's 14 or 16 lbs of boost. Tuned conservatively, there are lots of Sonics running around with 23 lbs and nothing but a tune. 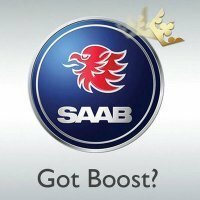 Thats pretty much the case with my generation of Saabs as well. Just a tune can bump up boost psi from mid-teens to low-twenties. Old thread, but new post. 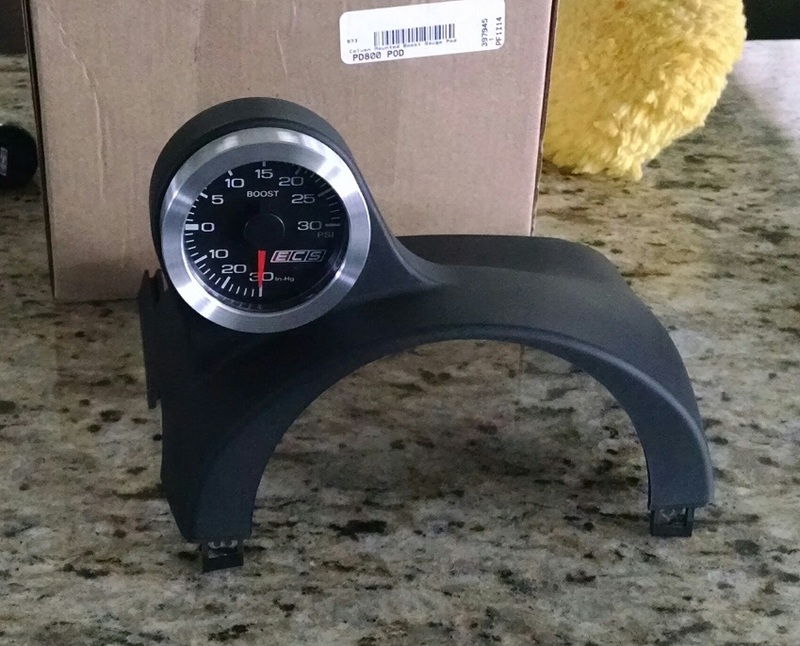 I recently acquired a podi pod for my boost gauge that replaces the top section of the steering column. Unfortunately, it's designed to fit a 45mm gauge and I'm not a big fan of the podi boost gauges, so I had to make my smaller ECS boost gauge work. So I machined a piece of aluminum to make an adapter/spacer for the smaller ECS gauge to fit the larger opening in the podi pod. Now I just have to reinstall it in the car. Last edited by Shadow on Tue May 22, 2018 12:15 am, edited 1 time in total. That's a nice, clean solution, both on the adapter and the general integration into the steering column cover. AHTOXA wrote: That's a nice, clean solution, both on the adapter and the general integration into the steering column cover. Yeah, thanks. It's really the only good option for my car. You can't put an A-pillar mount for the boost gauge because of the airbag. And the only other options are to integrate it into one of the HVAC vents, but that looks a little tacky to me. The nice thing about the column mount is that it doesn't really block the OEM gauges at all because it's designed to sit in the unused space of the tachometer. Im currently in a similar situation in that I need gauges, but I dont have anywhere to put them. I fundamentally oppose pillar gauges and hate the idea of blocking HVAC vents. Ive decided on a two gauge dash-top pod that I really hope I can make look not tacky as hell.